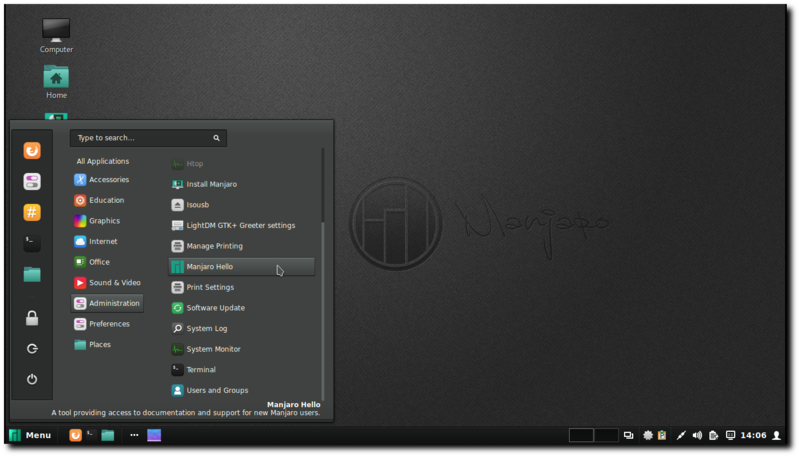 Professional and user-friendly Linux at its best. 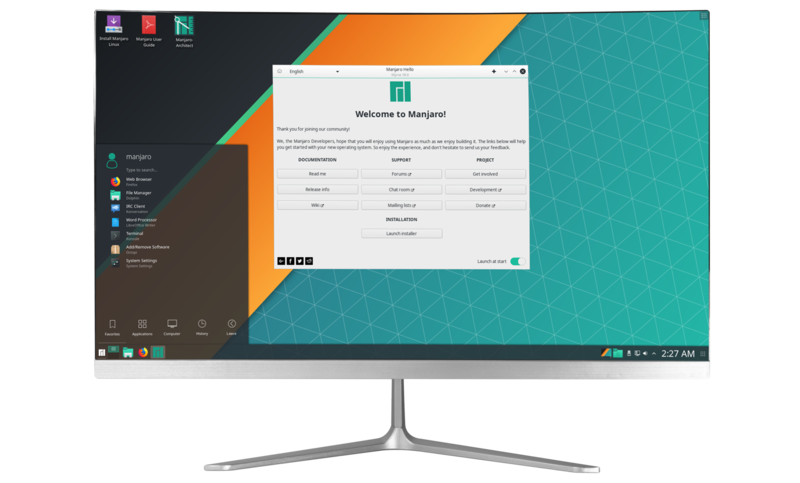 Evolving and giving the Linux world a new face and operating experience. 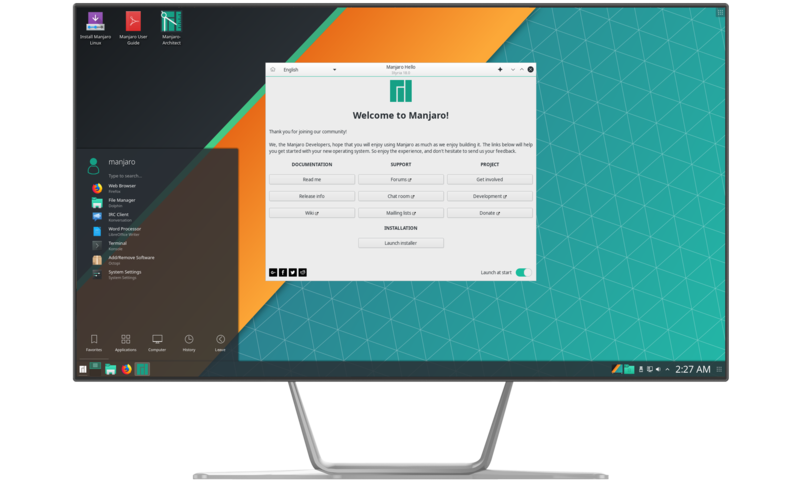 Manjaro is a user-friendly Linux distribution based on the independently developed Arch operating system. 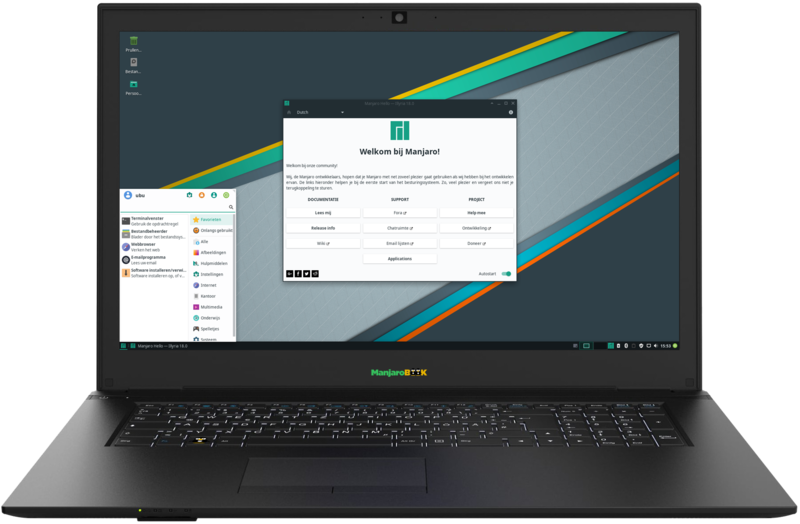 Developed in Austria, France, and Germany, Manjaro provides all the benefits of the Arch operating system combined with a focus on user-friendliness and accessibility. 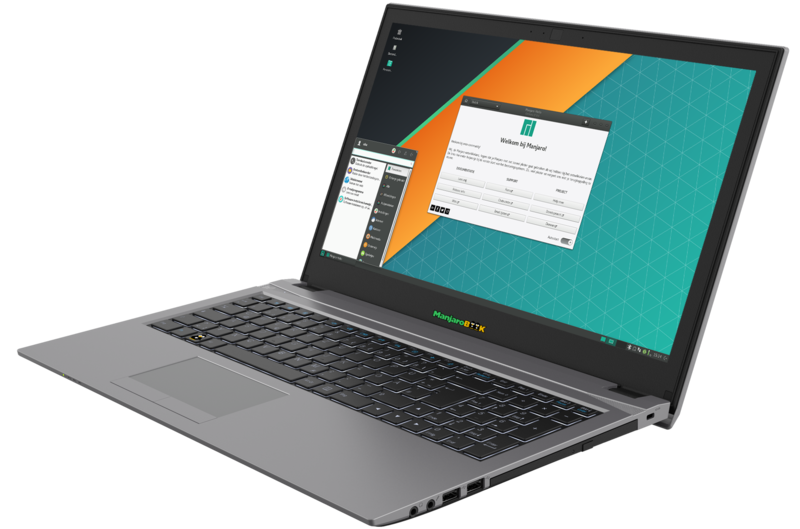 Available in both 32 and 64 bit versions, Manjaro is suitable for newcomers as well as experienced Linux users. 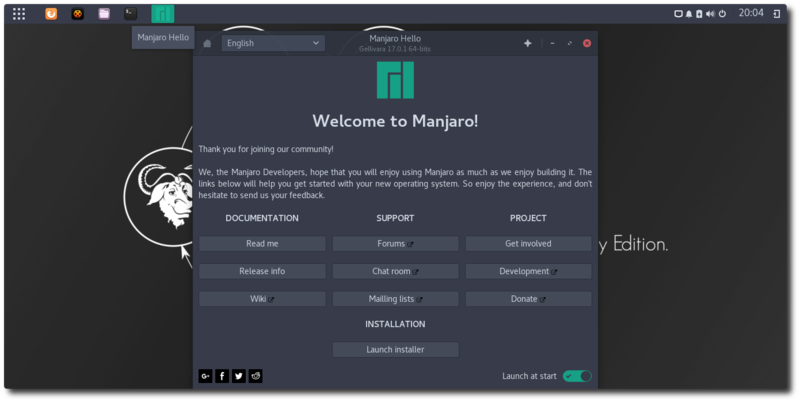 Manjaro uses a Rolling Release Development Model, whereby rather than being replaced, the same core system will instead be continually updated and upgraded. 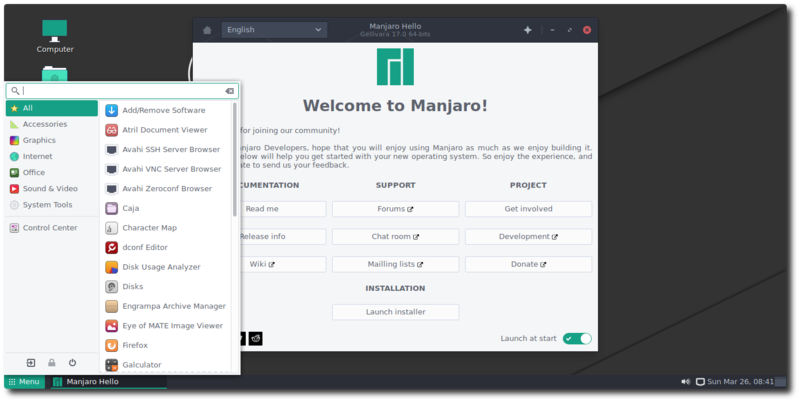 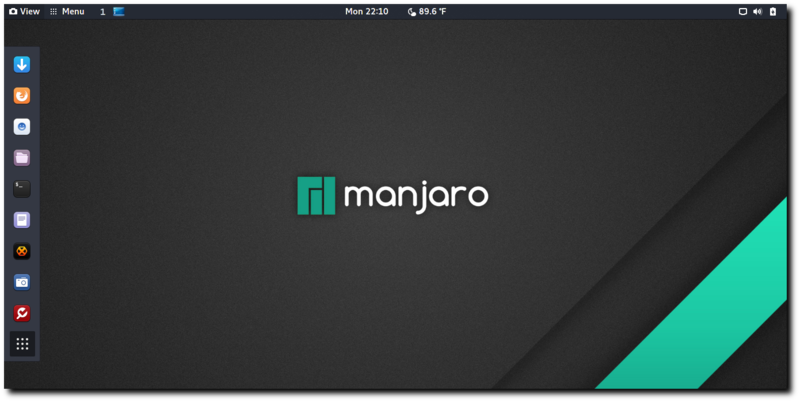 As such, it is not – nor will it ever be – necessary to re-install a later release of Manjaro in order to enjoy the very latest and most up-to-date system possible. 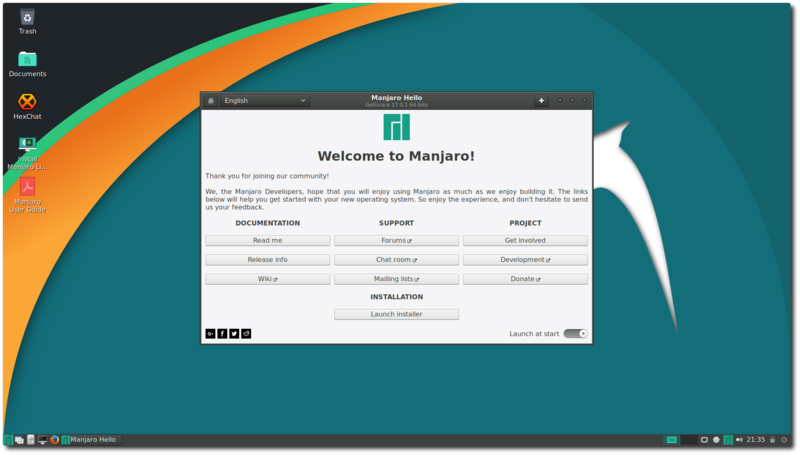 By virtue of keeping an existing installation updated, it is already the latest release. 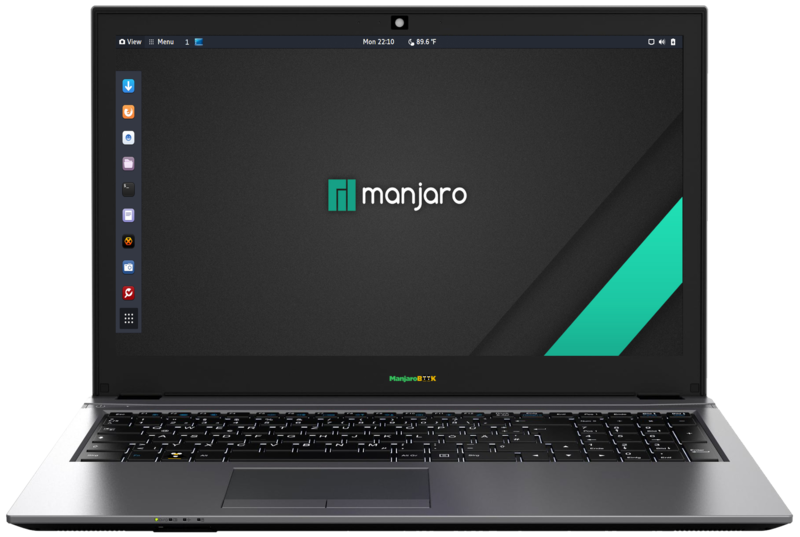 USA-intl (Also for the Netherlands) keyboard/uk keyboard/belgian keyboard/french keyboard/german keyboard/italian keyboard/portuguese keyboard/spanish keyboard/swedish/keyboard/swiss keyboard. 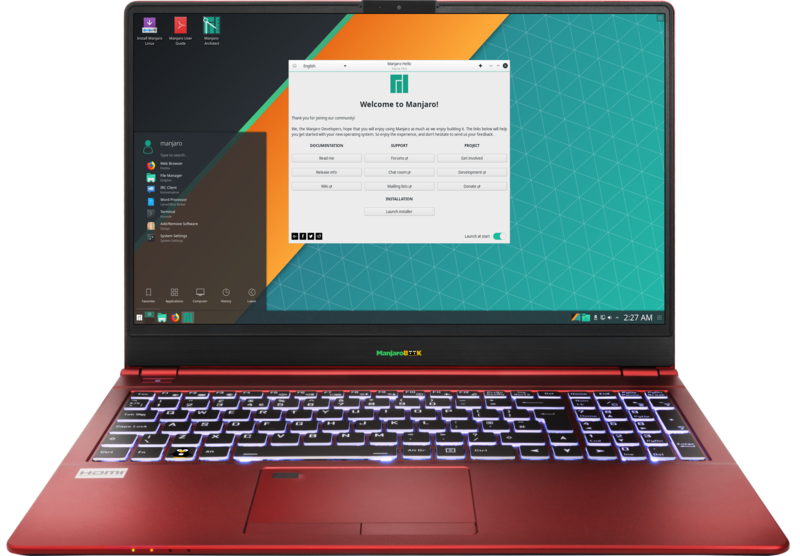 Protecting your privacy is not a crime. 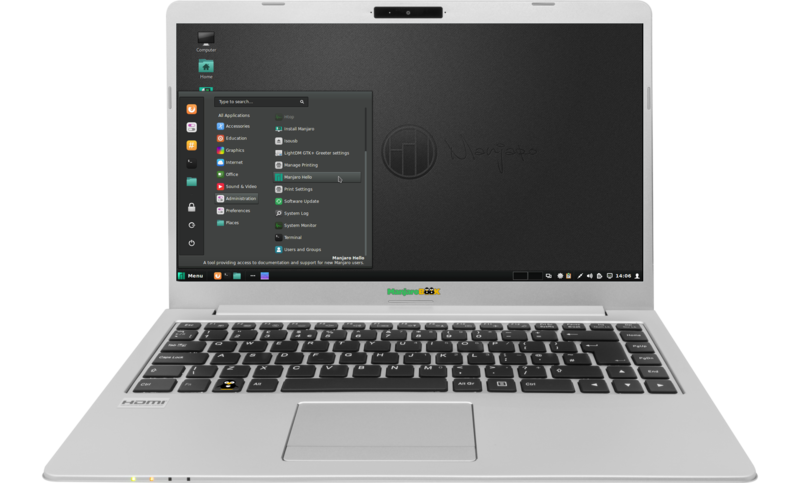 Manjaro notebooks from ubuntushop.eu with our in-house developed Tails & Kodachi Live Boot option and site-blocker. 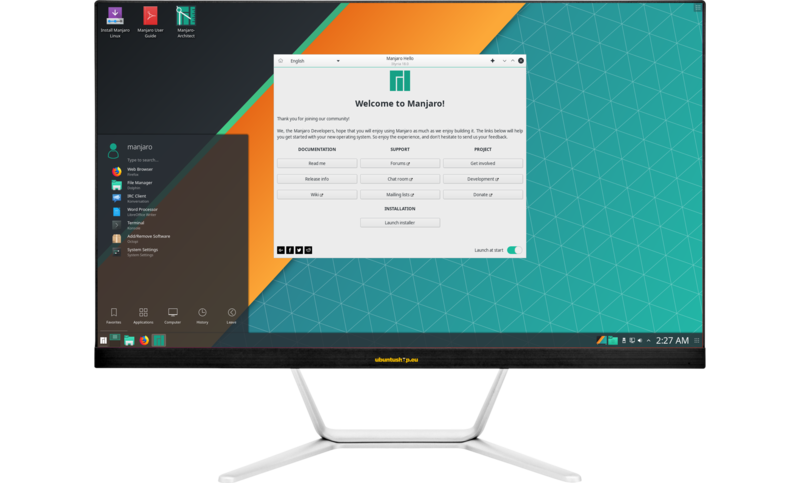 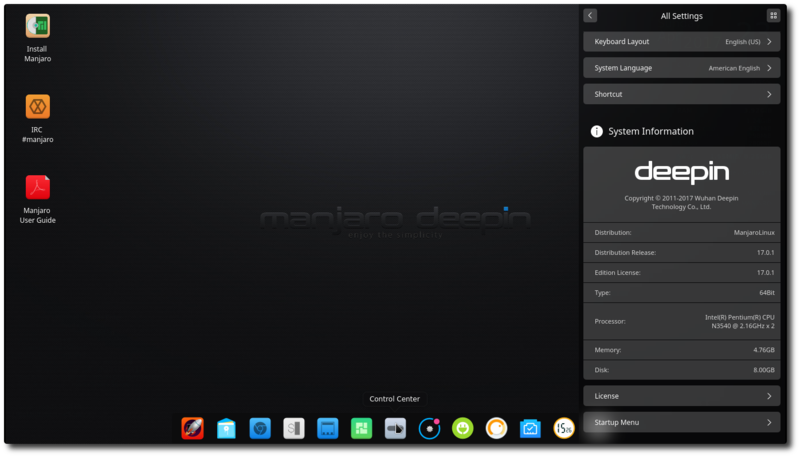 Manjaro Os pre-installed (test the software online!) 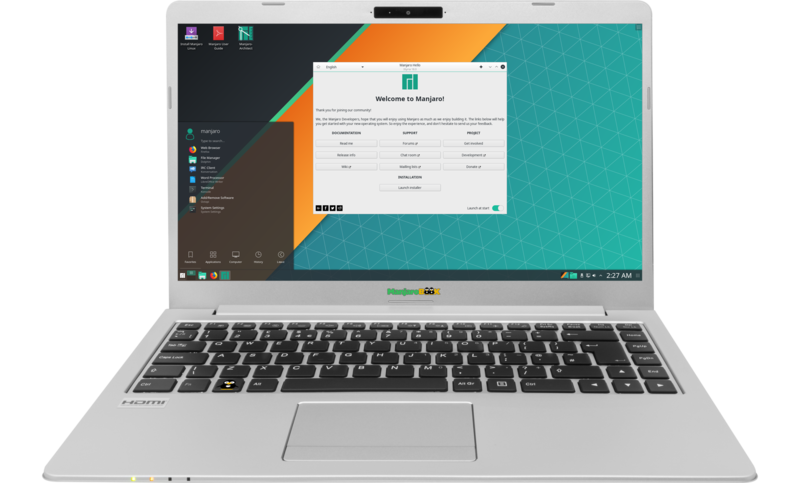 + Tails & Kodachi Live Boot option "to hide your whereabouts." 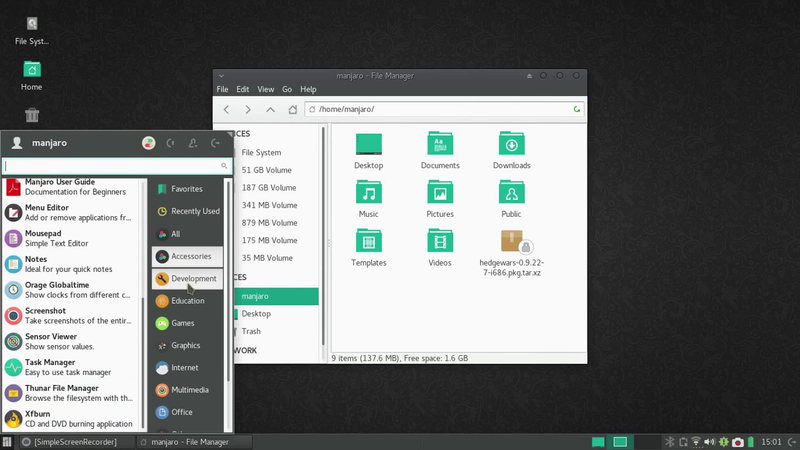 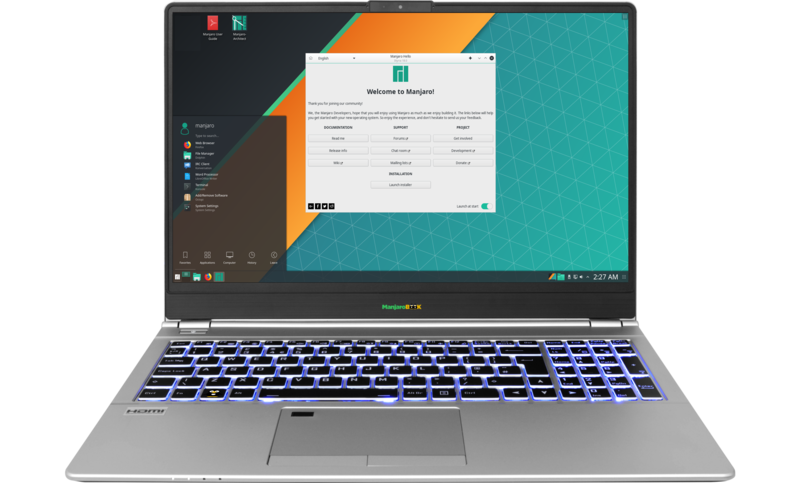 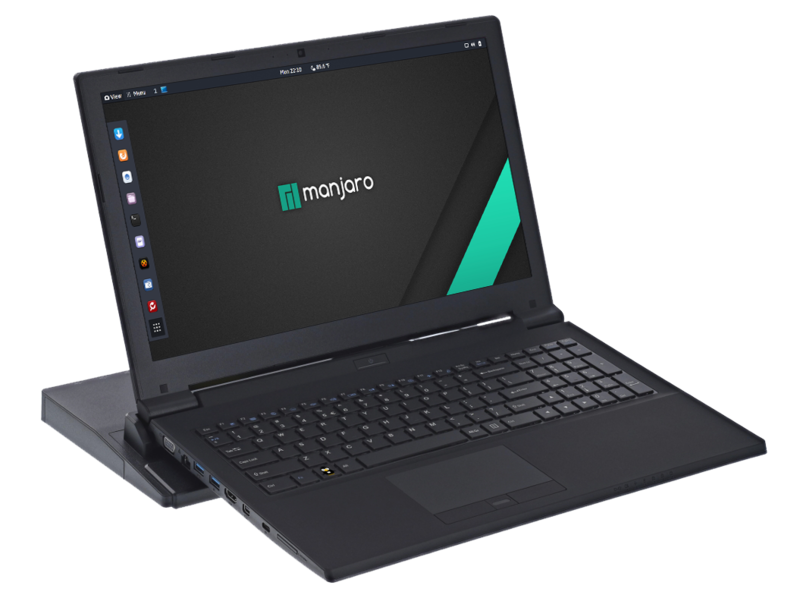 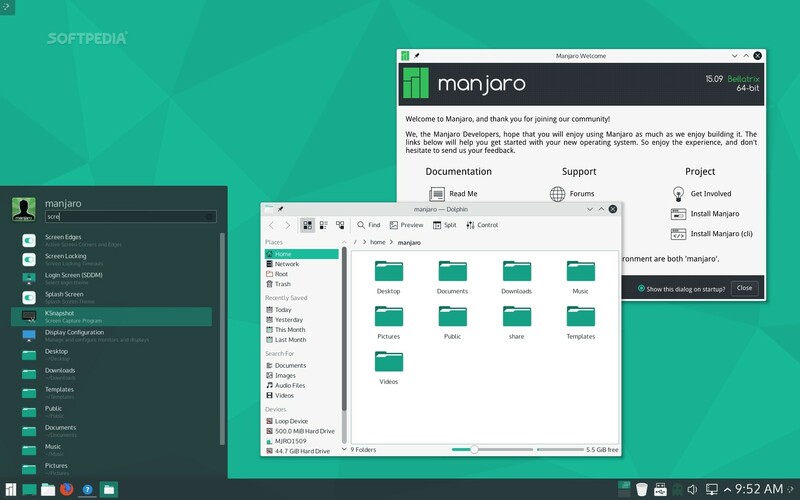 Manjaro Os pre-installed + Tails & Kodachi Live Boot option "to hide your whereabouts." 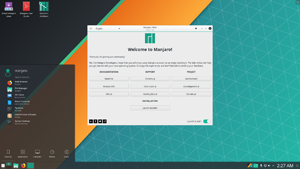 Manjaro Os pre-installed + Tails Live Boot option "to hide your whereabouts."